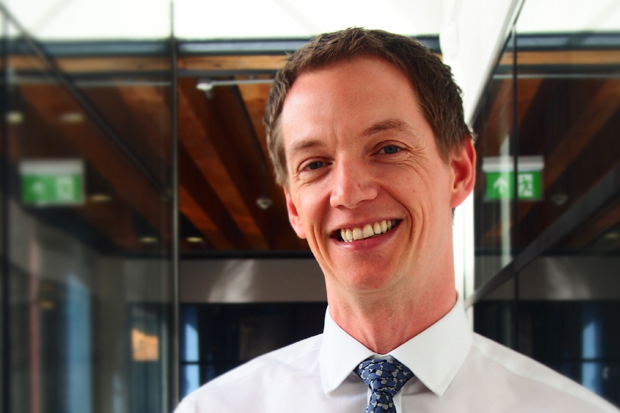 Well Pharmacy is planning to launch an online repeat prescription service in the new year, its transformation director has revealed to C+D. The service will be "up and running in three or fourth months" and will use the technology the multiple has built for its hub-and-spoke dispensing model, launched earlier this year, Chris Ellett told C+D last week (October 13). “If we're going to do an online repeat prescription [service], then the best way to fulfil that is using our hub-and-spoke system, rather than individual stores,” Mr Ellett said. Due to the "consumer expectation" created by the financial and retail services, "more people will want [online repeat prescriptions] for their medication", he predicted. “It’s important that collectively as an industry we face [up to] this for customers and patients, with products they need and want, through the channels they want,” Mr Ellett said. The multiple's hub-and-spoke strategy – exclusively revealed by C+D in April – is “progressing”, with more branches going live last week, he said. Well aims to bring the 780-branch chain “into the digital” age, which is “driven by consumer expectation”, he added. “Pharmacy hasn’t done that sufficiently well – as an industry we need to wake up and face that,” he said. Mr Ellett said the multiple is “doing quite a lot of work responding to what’s coming up next year”. He stressed that Well would “not do anything with any bit of [patient] data” without the “full and transparent consent from those who use our products and services”. “We would like to think that when we launch this, we can be the most trusted pharmacy in terms of holding and managing an individual’s data,” he added. What do you make of Well's plans? I think https://www.theindependentpharmacy.co.uk and other UK online pharmacies may have a similar service in future. On line repeat medicaton requests are available directly in most GP practices, as we have banned chemists ordering on behalf of patients. Which most chemists seem to like as they have more time in the pharmacy to do other things such as spend time with patients or dispense eps scripts and it has saved on the prescribing budget too. RDS and on line ordering are great tools. A combined feeling of being devalued and overworked. Constant pressure from regional managers to achieve 400 MURs, flu jabs etc. Professional discretion and autonomy of services by those pharmacists on the coal face is ignored by their Managers who are focused on delivering results to their superiors (passing the buck). A reduction in staffing levels and feet on the ground by not replacing colleagues when they leave and only offering temporary contracts to newly employed colleagues. In the case of Well- coercing pharmacy staff into changing their working hours to fit in with the advancement of hub and spoke dispensing- many live in fear of not having a job 6/12/18months down the line. 'Like it or lump' it attitude. Also, many skilled pharmacy staff are being replaced by commercial managers from the retail sector with no previous experience in pharmacy. These new recruits are being employed under false pretenses as they are expecting a purely management role; however they are being forced to dangerously manage understaffed pharmacy whilst being expected to train as dispensers and learn OTC simultaneously. One could say it is only a matter of time before a serious dispensing error/ patient safety incident occurs because of this dangerous practice. Where I have to disagree with you though Mr MacPherson is that you said you believe the centralisation of dispensing to a hub 'ignores the patient' and 'presents a risk'. I think this is a pretty archaeic view and represents the problem pharmacy has in terms of it being stuck in the dark ages and unwilling to advance digital technology and practices for the benefit of the patient. I think centralising dispensing has the opposite effect, it doesnt ignore the patient- it allows healthcare staff to have more time with the patient as it removes the dispensing burden. It will allow pharmacists to spend more time offering and building clinical services with patients as the pharmacist role evolves. My experience of the customer/patient experience since Well pharmacy acquired the Co-Op pharmacies is NOT GOOD. I am aware that many of the pharmacists and skilled staff (in Scotland ) are unhappy with they way they are treated, by the new owner. I believe that a significant number of skilled staff have resigned. I am a patient, retired with repeat CMS prescriptions, currently dispensed efficiently by my local Well pharmacy. If Well decide that my prescriptions are NOT to be dispensed at my local pharmacy I will transfer my preference to an independent pharmacy. The centralisation of dispensing to a hub ignores the patient, presents a risk and is an insult to the professional skill and experiences of the pharmacist. I am a retired pharmacist and having worked for Well, I would not commend them as a good employer. Well is a company with strong roots in communities and I hope their models works well to maintain that. Traditional pharmacies are now being forced to move due to the Government's imposition of what is known as "Amazonisation". Sounds like patient initiated ordering. Though they could do that via patient access... though if it tells the patient when the medication is ready it will already be better than what I have heard people say about patient access (their general complaint is that they have to login after 2 days to see if the GP has accepted the prescription request). ...which commonly gets misinterpreted by the patient as "my prescription is ready and waiting on the shelf and I can immediately pick it up."